We are Bouncy Rascals... we have been hiring top quality inflatables for many, many years in and around the Haverhill in Suffolk area. Over the years we have gained a great reputation for supplying quality inflatables at competitive prices – plus we collect and deliver on time! Children absolutely LOVE Bouncy Castles and so do Mum’s & Dad’s as it’s a good way of bouncing out some of that endless energy kids have in a safe way. In fact if your event is for your child like a Birthday Party for instance, a Bouncy Castle is THE best way to make it a party they and their friends will love and talk about! And if it’s big kids you are talking about, many of our inflatables are suitable for adults too so nobody is left out! If space is at a premium, don’t worry... most of our castles can fit into an average sized garden, no problem - but if you do need something bigger just let us know and we will point you in the right direction. All our castles are beautifully designed with striking colours plus we have some fantastic themed inflatable’s including Scooby Doo, the Disney Princesses and our BRAND NEW and ever popular Disney’s Frozen Castle! And to Bouncy Rascals, condition is everything... we do not and never will supply you a tatty inflatable that has seen better days... all our Castles have a ‘Bounce By Date’, when that is up we replace them, no arguments! And once all that bouncing is over what could be better than a delicious portion of Candyfloss, Popcorn or a Frozen Slush Drink – we have the machines in stock that you can hire along with an inflatable or just on their own! Plus is you are worried about the weather (as we always are!) we can even supply you with a magnificent Marquee to ensure your guests are comfortable rain or shine, nigh and day. And if you want super indulgence, check out our FABULOUS 5 Tier Chocolate Fountain!!! 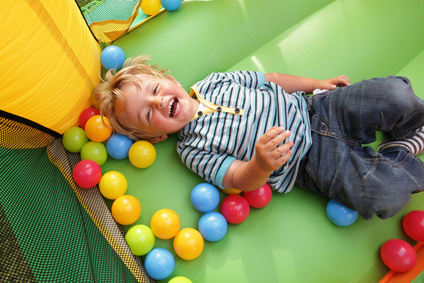 Bouncy Rascals are based in Haverhill Suffolk however we deliver our Bouncy Castles, Marquees and Catering equipment to a much wider area too covering Essex, Cambridgeshire, Suffolk, Norfolk and Hertfordshire. While we offer free delivery and collection to local customers there will be a small deliver/collection charge for customers who are further afield. Please just contact us for details. Get in touch with Bouncy Rascals today – we always recommend booking early to avoid disappointment and get the best possible prices too... above all, HAVE FUN!